Presented by Emma Henselbecker, benefits counselor with Plan to Work of Washington, on November 12, 2013 at the University of Washington Medical Center, Seattle, WA. Presentation time: 40 minutes. After watching, please complete our two-minute survey! You can also watch this video on YouTube, with or without closed captioning. Click here to see all of our SCI Forum videos. 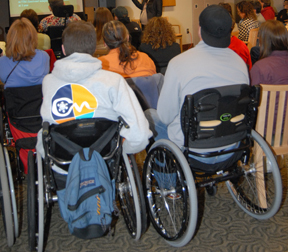 Plan to Work (http://community-minded.org/plan-to-work)—provides free counseling on disability benefits and work to individuals and organizations in Washington State. Toll-free statewide hotline: 866-497-9443. Employment after Spinal Cord Injury— SCI Consumer factsheet explaining how to return to work or find employment following a spinal cord injury. 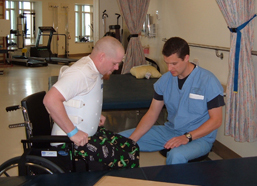 Washington State Division of Vocational Rehabilitation—Helps individuals move toward employment goals through targeted services. 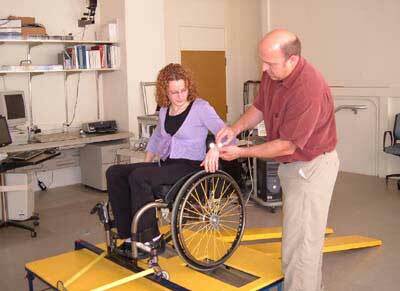 Disability Rights Washington—Helps individuals with legal questions related to disabilities. SCI Forum video "Navigating the System: Social Security Disability Insurance (SSDI) and Supplemental Security Income (SSI)"